LAST SEGMENT OF OUR CONTINUING SERIES - 18 Stories! 15 Authors! Talk About A Project! ﻿ I hope you've enjoyed my ongoing series,which I am closing out today with my answers to the interview questions. It seems appropriate for me to be last, since one of my contributions to the collection,"The Closing of the Corner Cafe," appears last in the book. This story describes the rise and fall of a cherished eating establishment. My other contribution, "What Nice Blessings," shows how a young adult rises above tragedy. Now, I'll take the test and answer the questions. I was happily surprised to discover I enjoy writing short stories. What's so great is by their very nature they are short, which means they can be written faster than full length novels. Not as much to edit as well, which is a nice advantage! I had a hard time coming up with topics. 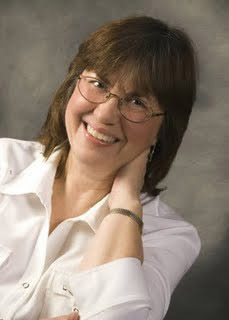 I would like to have connected my short stories in some way with one of my full length novels, but inspiration struck in completely different directions, compelling me to write a YA story, as well as a family oriented one, instead of my usual fare of romances, mysteries and thrillers. I'm hoping my voice still rings true in my contributions, different as they may be. What's also difficult has been carving out enough time and energy to effectively push a book, especially on specific days, such as when it's free on Amazon. I love the camaraderie of being part of a selfless group with the common goal of producing and promoting a quality product for reader enjoyment. I learned so much I could probably write a book about it! For one thing, teamwork is a very effective tool in promotion.I also figured out how to set up tweets on HootSuite at intervals, instead of going to Twitter each time. Also, by exploration, our group obtained an immense influx of information about online promotional venues, which I can use later when I promote my next book. Another lesson I learned was that Amazon only allows 10 contributor spaces per book, which meant we authors had to go to Amazon Author Central and claim our contribution to The Corner Cafe before we could be acknowledged. When that was accomplished, Amazon displayed our pictures in the More About the Author section, which was a nice surprise. Yes, I can hardly wait for the next one! It's a wonderful experience. I'm glad I took the time to become involved. Thank you for following this series. I'd appreciate your comments about any of my answers. 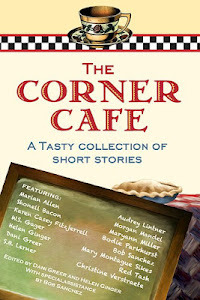 The Corner Cafe: A Tasty Collection of Short Stories. Glad you like it, Elle! Wonderful collection of Short Stories, Morgan! I have read them all, and while I could easily write a review of each one, I'm working on writing a review of them as the collection they are. Teamwork does bring with it synergy. I'm glad you and the other writers discovered that. Be well, and I'll watch for your next book! I'm glad you enjoyed our collection. I have the book, Morgan, and hope to read it soon. Congratulations on its success. It was a treat, being part of this collection of authors and stories. Thanks for sharing your side of it!